Oh how time flies! 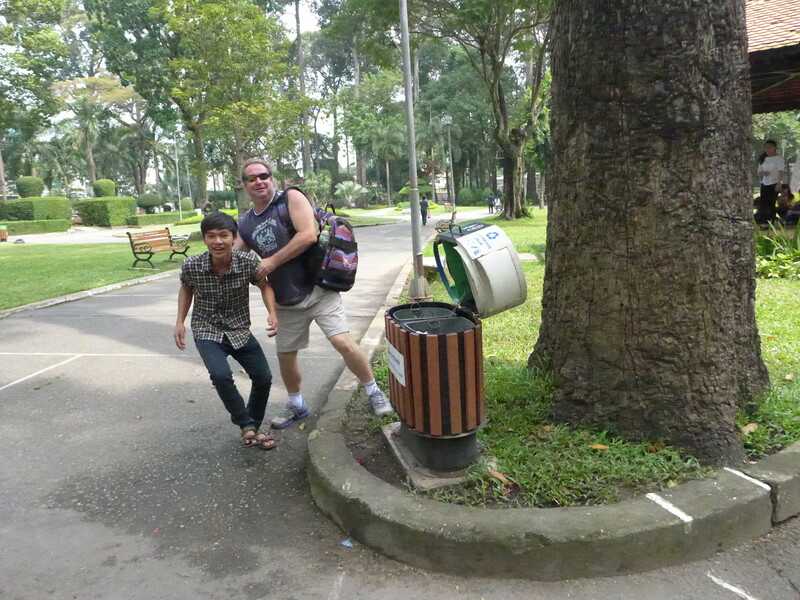 A year ago, I was making my way through SE Asia and had just met up with my Aussie friend, Troy to travel through Vietnam together. 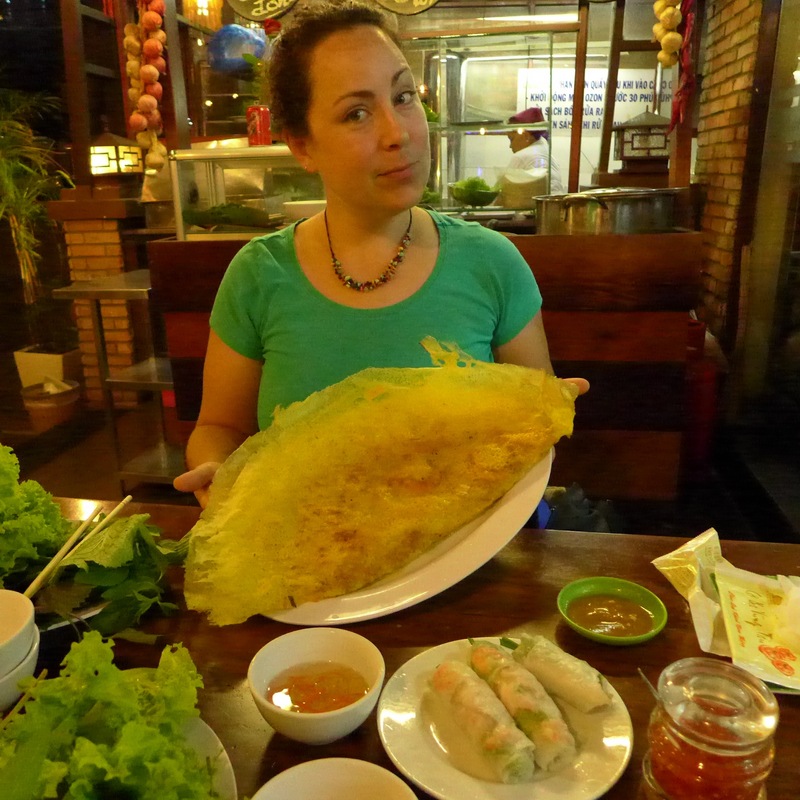 This face says, “How do you eat this Báhn Xêo, which is larger than my torso?” Troy and I met in Ho Chi Minh City and spent the next day on a tour booked from our hotel, exploring the Mekong River. 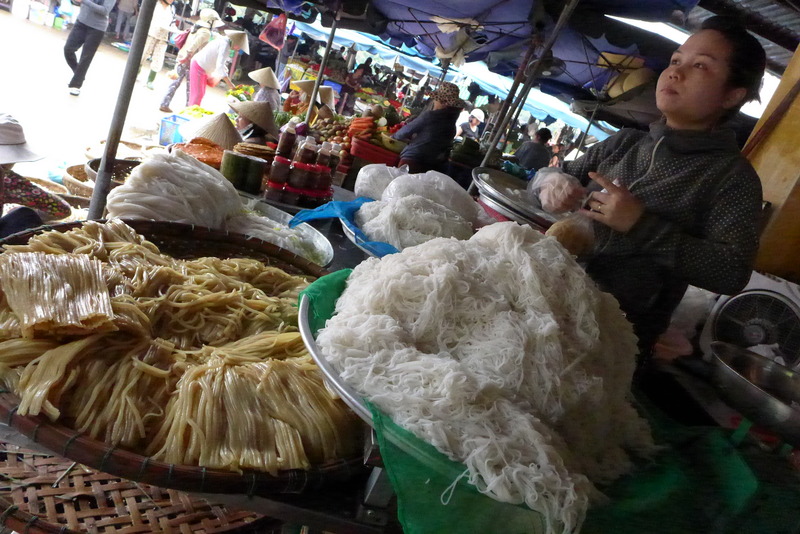 The tour was very ‘touristy’ but gave a nice glimpse into the culture of the Mekong and lunch was a vast array of food. 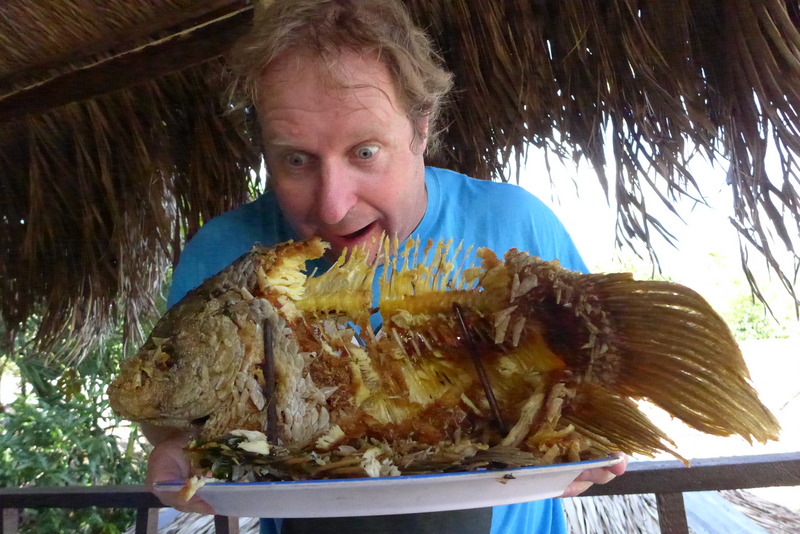 Including this giant fried fish. HCMC was a big, noisy city full of an intense number of motorbikes. We didn’t enjoy it. In an attempt to ‘tourist’, we went to the War Remenants Museum. 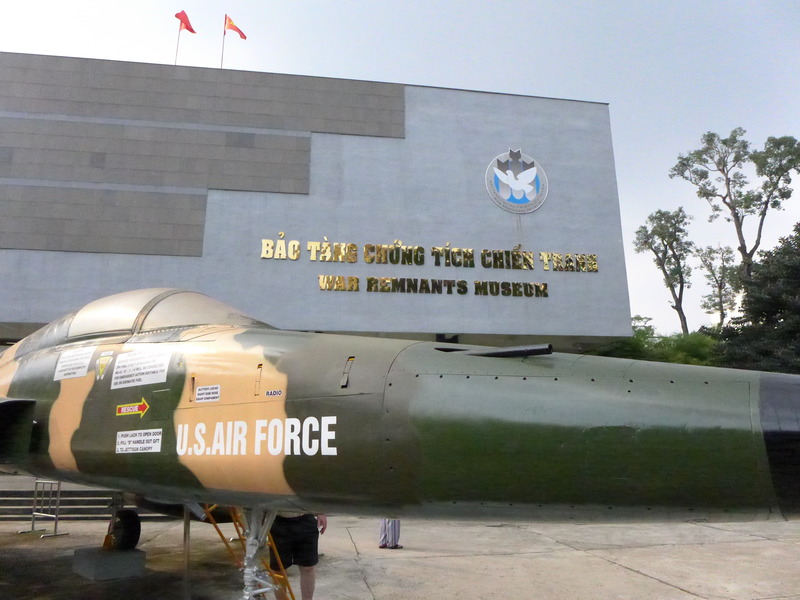 It had with a bunch of leftover US tanks/planes and interesting exhibits with graphic images of war. It was from the Communist view but I didn’t feel is was entirely propaganda- just the view from the ‘enemy’ in a controversial war. We were ready to move on pretty quickly. The only other entertaining thing we did besides eat a lot of Bahn Mi and gelato was take a walk in the park… where there were groups of high schoolers doing team building activities. Of course Troy inserted himself into the fun and harassed a poor teenager, then tried to put him in the trash can. There were also groups of women doing dance routines. We HAD to get out of there. 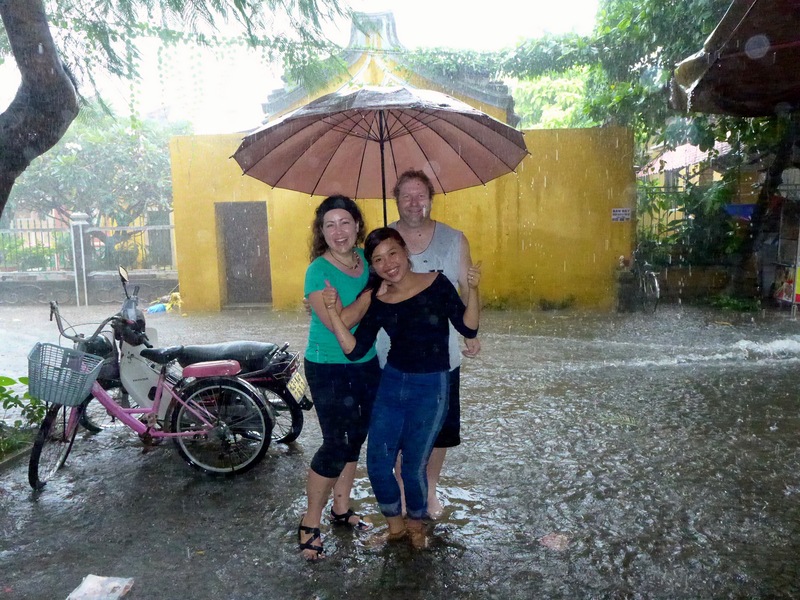 After pricing the train from HCMC to DaNang and then finding a flight for THE SAME amount of money, we began our journey north. 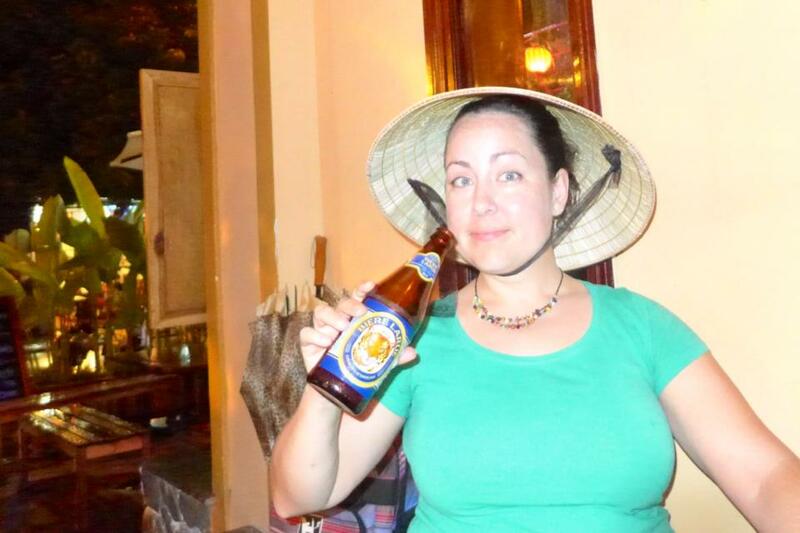 That night we stayed at a homestay in the darling town of Hói An. Our homestay was really lovely. The house was new and the hostess was a local chef who gave us cooking lessons. The best part of cooking class was walking through the morning market, buying the ingredients for our dishes. 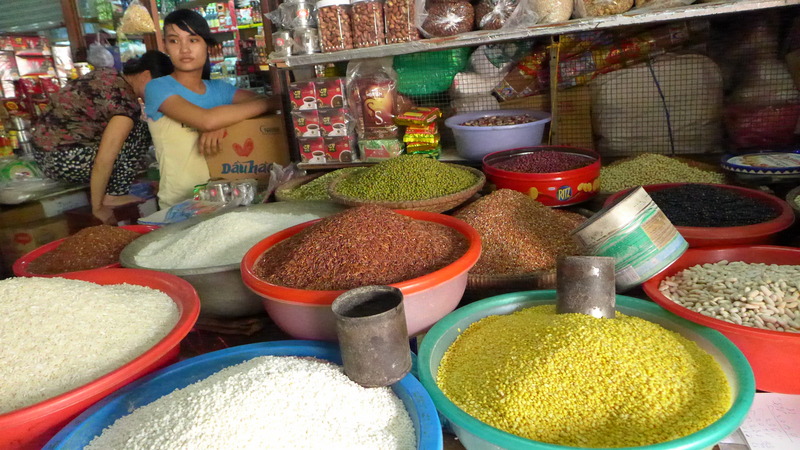 I adore this photo of colorful legumes and rice. Everyone in town knew our hostess and she took great care to describe what we were buying to make spring rolls, Báhn Xéo and Cau Lâo: a pork dish made with yellow noodles made only with water from Hòi An. 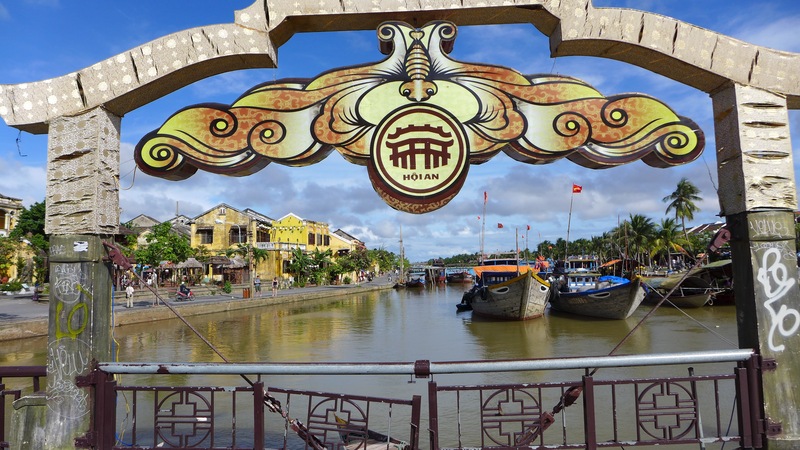 Hói An has a beach, but we never saw it. Partly because Troy lives in Sydney and partly because of the weather. The rain turned the streets into rivers and when cars would pass by, the waves of water would lap up under our table inside the restaurant. Yeah, there was a lot of rain. 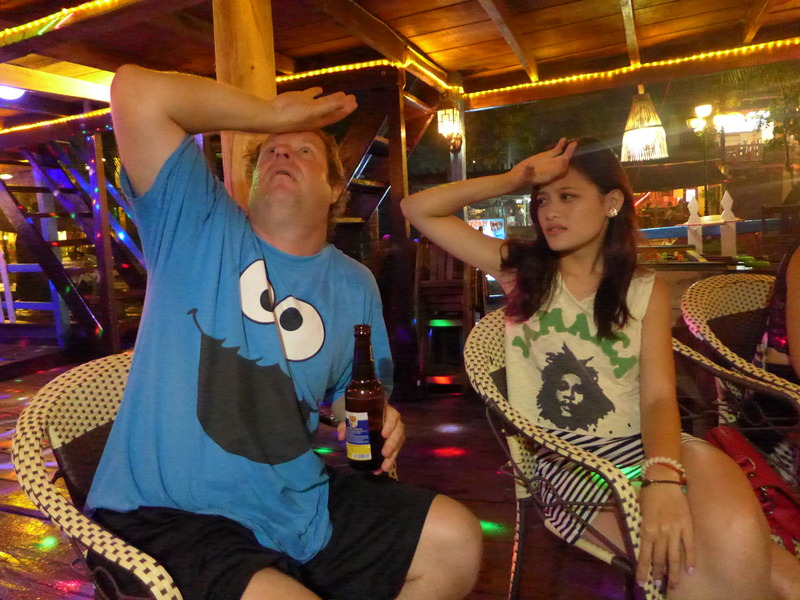 Our favorite hang-out was DK’s hostel, with insanely cheap ‘happy hour’ specials, wi-fi and a pool. We didn’t stay there, but we hung out enough to know that it’s a pretty nice hostel and we booked our onward travel with them. They can hook you up with some great trips. The ‘Top Gear Tour’ to Hue was a popular one- it’s from a popular British TV show with old guys who like cars. 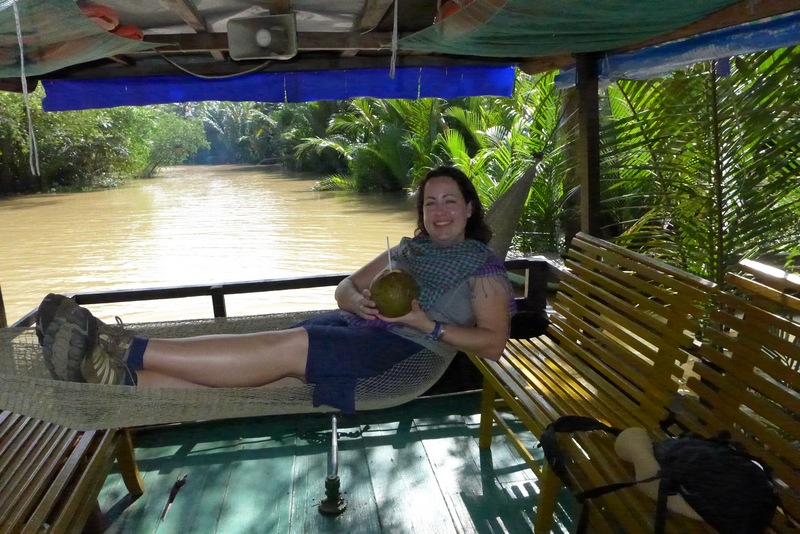 I was still determined not to be injured in a motorbike accident so we took the train. One last tidbit: we met Thuy Anh Nguyen, the star of the Indie movie ‘Flapping in the Middle of Nowhere’ which played in Venice and Toronto Film Festivals. Of course, Troy was happy to give her an acting lesson.